​You thought MVP quarterback ​Patrick Mahomes was only banned from playing basketball? Not even close. According to Ben Volin of the Boston Globe, Mahomes is prohibited from just about anything that doesn't involve throwing a football. Mahomes' contract details seem pretty standard. The 23-year-old quarterback is huge investment for the Chiefs and the last thing their franchise needs is losing the best QB they've had since Lenny Dawson because of a "hang gliding" accident. It's bad enough that he puts ​ketchup on his mac and cheese. Details of Mahomes' contract surfaced after a viral video of the young QB playing pickup basketball made it's rounds on social media. While it definitely looks like Mahomes can ball, Chiefs general manager Brett Veach wasn't quite as amused as everyone else. Mahomes took the ​NFL by storm in 2018. In his first year as a starter, he threw for 5,097 yards and 50 touchdowns to only 12 interceptions. He led the league's No. 1 offense to 12-4 record, while being named NFL MVP, First Team All-Pro and earning a Pro Bowl nod. 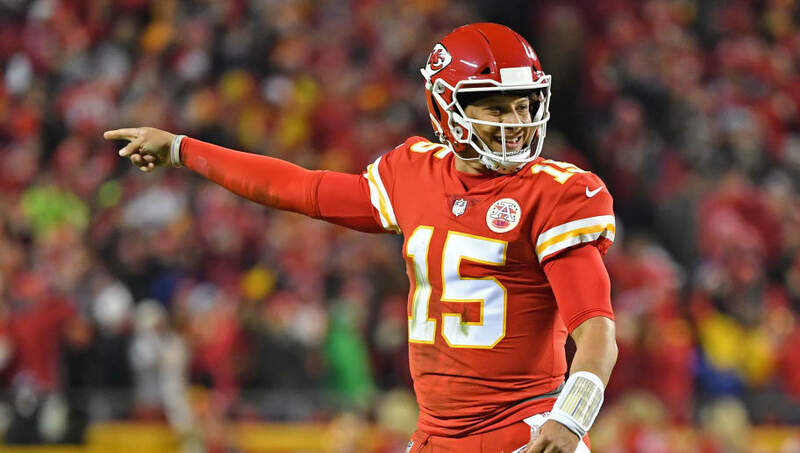 If Mahomes continues on the path that he's on he will likely be the face of the league for the next decade and could possibly land the first $200 million contract in NFL history. For now, he'll have to stick to embarrassing opponents on the gridiron.